1.5 The Communist Party of India (Marxist) was founded on the basis of an intense battle against the revisionist deviation that had gripped the then undivided CPI, gravely threatening to derail the Indian Communist movement and, hence, the liberation of our people. 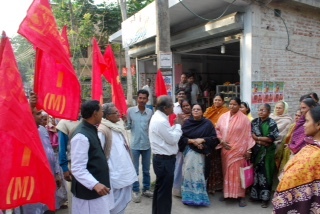 Making a decisive break from revisionism after an intense inner-Party ideological struggle centered around the strategy and tactics of the Indian revolution and a correct evaluation of the composition and character of the Indian ruling classes, the CPI(M) emerged to uphold the revolutionary tenets of Marxism-Leninism, committed to apply these to the concrete Indian conditions. 1.8 The CPI(M)’s struggle against ideological deviations and its steadfast effort to uphold the revolutionary content of Marxism-Leninism and proletarian internationalism was based on a continuous joining of issues on all deviations – domestic and international – that manifested themselves, often ideologically confronting both the international Communist giants of the time – the CPSU and the CPC. It is these ideological struggles that have steeled our Party to emerge not only as the strongest Communist and Left force but also capable of exerting pressure and influence on the course of India’s national politics. 1.9 Since the Burdwan Plenum (1968), such ideological joining of issues has been a necessity for furthering our Party’s strategic objectives. The 14th Congress resolution On Certain Ideological Issues in the wake of the dismantling of socialism in the former USSR and East European countries was followed by the updating of our Party Programme in 2000 in the light of our analysis of the changes that occurred. This was followed further by enriching our analysis in subsequent Party Congresses concerning the new world situation post the disintegration of the Soviet Union and the rise of imperialist globalization. 1.10While imperialist globalization is imposing unprecedented miseries on humanity, the popular resistance against this offensive is also on the rise. This is sharply expressed in today’s world situation particularly in Latin America. Such rising struggles are also growing in other parts of the world as seen in the Occupy Wall Street movement and notably in Europe against the imperialist neo-liberal globalization onslaughts on the livelihood of the people, that have sharply intensified in the current global capitalist crisis and recession. These rising struggles against the erosion of the livelihood standards of the working class and other exploited sections of the people constitute the foundations for consolidating and advancing revolutionary struggles in the future. 1.11The task of raising these struggles to the level of an offensive against the Rule of Capital, in the current balance of international correlation of class forces will have to be undertaken by surmounting many challenges. The success of intensifying such struggles to mount the class offensive against the Rule of Capital will decisively depend upon the sharpening of the class struggles under the leadership of the working class. This, in turn, would be possible only when the ‘subjective factor’ of the revolutionary struggle, i.e., the strength of the class unity in struggle of all exploited sections of the people for liberation and emancipation, under the leadership of the working class, is strengthened and consolidated. 1.12Under these circumstances, particularly when fast moving developments continue to take ­place, it is imperative that we strengthen our revolutionary resolve through a scientific Marxist-Leninist analysis of the ideological issues and challenges thrown up by these developments, with the singular aim of strengthening the class struggles for human liberation. 2.2 Globalisation must be understood in its totality. The internal dynamics of capitalism, as Marx has shown, leads to the accumulation and concentration of capital in a few hands. It is on the basis of a scientific analysis of the development of this tendency that Lenin identified the emergence and growth of imperialism from the stage of monopoly capitalism. The Leninist analysis of the politics of imperialism – the highest stage of capitalism – laid the foundations for correct revolutionary strategy and tactics for intensifying class struggles leading, for the first time in human history, to the triumph of the proletarian revolution – the great October Socialist Revolution of 1917. 2.3 This current phase of globalization, within the stage of imperialism, led to gigantic levels of concentration and centralization of capital and, hence, accumulation led by international finance capital during the last two decades. Thisled to a reordering of the world where this capital seeks unhindered access across the globe in its quest for profit maximization. This, in itself, imposes conditions for the removal of all restrictions on the flow of this capital, the essence of financial liberalization. The accompanying neo-liberal offensive of economic reforms, seriously threatens and undermines the economic and, hence, the political sovereignty of the nation-states, particularly in the developing countries. 2.4 As we have noted in the past, the emergence of a new stage in history does not mean that the stage itself, during its existence, remains immutable not undergoing any changes. In every stage, like socialism in the transition towards Communism; like the functioning of the proletarian State under socialism, or, for that matter in the stage of imperialism, various phases emerge as a result of quantitative changes that lead to a qualitatively new phase. The period of a stage in history is, hence, neither a linear process nor a ‘one way traffic’. This current phase of imperialism vindicates rather than repudiate the Leninist prognosis of the character and the hegemonic role of finance capital in the stage of imperialism. 2.5 This phase of globalization unfolding when the political correlation of class forces internationally has shifted in its favour, permits imperialism to pursue its quest for profit maximisation relatively unhindered except, of course, in those countries where the strength of popular peoples’ struggles have mounted effective resistance. Such pursuit has resulted in colossal levels of capital accumulation leading to the further consolidation of international finance capital (IFC). This is one of the salient features of post-Cold War world capitalism. This scale of accumulation has also been substantially aided by the counter revolutions in the USSR and Eastern Europe and their re-entry into the fold of the global capitalist market. Further, the structural changes in global capitalism, aided by technological advances particularly in information and communications, resulted in relocating production and outsourcing of business operations to areas where natural resources are abundant and labour power cheap. Maximizing profits in this manner has vastly aided raising the levels of accumulation. 2.11 Surplus value under capitalism can only be generated in its production process. The manner in which this is appropriated and deployed may generate additional cash flows. Under the dictates of international finance capital, the surplus appropriated through the production process is so further deployed in different ways. Additionally, the avenues for cash flows are vastly enlarged through the creation of new financial instruments to enhance market capitalization of the corporates through speculative trading. ‘Bubbles’ are thus created, which temporarily inflate the economy, but when these invariably burst, the economy plunges into a crisis. 2.14 Other ways of consolidating capital accumulation are through the imposition of deflationary policies like restrictions on government expenditures in the name of fiscal discipline (making available larger quantum of liquidity to IFC to multiply speculative profits) which leads to the lowering of the level of aggregate demand in the world economy; a shift in the terms of trade against the peasantry in the developing countries; a rolling back of the State sector in providing social services globally, more pronounced in the developing countries, which increasingly become privatised and the opening up of huge new areas of public utilities for profit maximisation. Intellectual property rights and other forms of monopoly control over knowledge generates massive profits through the control over the production and reproduction of knowledge. Thus, a new feature of contemporary imperialism is the coercive prising open of new and hitherto non-existent avenues for profit maximisation. 2.15 This new phase of imperialism pressurises large segments of the big bourgeoisie in developing countries to turn collaborators. In several of these countries, the struggle for decolonisation had been fought under the leadership of the domestic bourgeoisie which, after independence, had tried to pursue a path of relatively autonomous capitalist development. While allying itself, as in India, with domestic landlordism and compromising with foreign finance capital, it had sought to pursue a path of capitalist development with a degree of autonomy, pursuing non-alignment in foreign policy which enabled it to use the Soviet Union to bargain with imperialism. But the inherent internal contradictions of such regimes, combined with the collapse of the Soviet Union and the emergence of international finance capital seeking to prise open these economies for furthering profit maximisation, altered the perspective of the bourgeoisie in the developing countries. From a position of relative autonomy, the domestic ruling classes of developing countries, notwithstanding certain areas of conflict of interests, are increasingly moving towards advancing the capitalist path of development with greater collaboration with IFC and, thus, embracing neo-liberalism. 2.17 All over the capitalist world, especially in the developing countries like India, such assault leading to disinvestment and privatisation of the State sector is nothing else but private accumulation through the expropriation of State assets. Public utilities like water and energy, public services like education and health, have increasingly become domains of private accumulation of capital. Control over mineral resources is increasingly becoming private. Agriculture is increasingly being opened up to multinational seed and marketing companies leading to the virtual destruction of self-reliant agriculture in the developing countries, throwing the peasantry into acute distress. The removal of trade tariffs and imposition of Free Trade Agreements is leading to deindustrialisation in many developing countries. In direct contrast to the freedom of movement for capital, the strict domestic immigration laws in developed countries leads to intensified exploitation and oppression while maximizing profits. Common public resources like forests, mines, water, etc., are increasingly being taken over as private property. 2.20 While both the processes of capital accumulation simultaneously operate, this ‘accumulation through forcible expropriation’ as distinct from capitalism’s ‘accumulation through appropriation’ has become an important feature of contemporary imperialism. 3.2 The character and composition of labour – manual or mental (intellectual) – makes little difference to this process of exploitation. This exposes the fallacy of the argument that since the character of the working class (manual labour) has significantly altered in modern times from that of Marx’s time, and also, as the proportion of manual labour has significantly declined since Marx’s time, Marx’s analysis is no longer valid. As long as labour power produces in the capitalist production process, it is exploited and that is the source of surplus value and hence profit – the raison d’etre of capitalism. 3.3 However, as the proportion of mental (intellectual) labour grows, it generates illusions amongst sections of them that they are no longer exploited but are now ‘partners’ of capitalism. While disrupting the class unity of the exploited, some of these sections tend to fall prey to such illusions, thus buttressing neo-liberalism. This tendency needs to be ideologically challenged and combated. 3.10 To summarise: under globalization, with sharp decline in the purchasing power in the hands of the majority of the world’s population, finance capital, in its eagerness for quick profits, chooses the speculative route of artificially enlarging purchasing power by advancing cheap (subprime) loans and creating speculative ‘bubbles’. Profits are made while these loans are spent but when repayment is due comes default, ruining the loan taker and also crippling the system. This is precisely what happened on a gigantic scale resulting in the current global capitalist crisis. 4.6 It must be borne in mind that wherever imperialism succeeded in affecting a regime change, it only created space for ultra rightwing, often religious extremist forces by systematically attacking the Left and progressive forces. The weakening of the latter is, again, a declared objective of imperialism, as they represent the genuine and consistent anti-imperialist force. Imperialism and religious fundamentalist forces work to weaken the Left forces. US military occupation of Iraq has sharpened the religious divide and destroyed the secular fabric of that society. Earlier, in Iran, in its urge to retain control of oil, the installation of Shah regime by the USA led to the systematic and brutal victimisation of the Communists and progressive nationalists leaving space open only for Islamic clerics to emerge as the principal opposition. In Afghanistan, its drive to topple the regime of the progressive forces supported by the then Soviet Union resulted in the creation of the Mujahiddin-Taliban-Osama bin Laden nexus – US imperialism’s Frankenstein. Such dangers appear imminent in the current ‘Arab Spring’ developments as well in many of these countries. 4.7 Imperialism’s imposition of a unipolar world order is buttressed by a powerful ideological offensive. Imperialism equates democracy with free market. Under this garb and in the name of upholding its conception of democracy, it intervenes politically and militarily against regimes which oppose its hegemony, challenge neo-liberal economic reforms and the imposition of ‘free markets’. 4.8 Imperialism, in the name of upholding so-called ‘human rights’ and ‘universal values’, militarily intervenes against independent sovereign nations. While masking its brazen human right violations through military interventions, it has intervened to balkanize former Yugoslavia on this pretext. The rising bourgeoisie of the advanced capitalist countries, in order to consolidate their class rule, had earlier championed national sovereignty as being sacrosanct. Today, imperialism is militarily intervening to subvert and negate national sovereignty of independent countries in the name of protecting ‘human rights’. 4.13 The development of ICE technologies and the control over them, also allows imperialism to develop and maintain sophisticated surveillance technologies. Such technologies are being increasingly used to monitor, influence and sabotage a large variety of popular movements that challenge the hegemony of imperialism. 4.14 This ideological offensive unleashed by imperialism as a part of its overall efforts to strengthen its hegemony needs to be resolutely combated in order to achieve humanity’s revolutionary advance. 5.2 Despite the unprecedented and path-breaking advances made by socialism in the 20th century it must be borne in mind that all socialist revolutions barring a few (not all) in East Europe took place in relatively backward capitalistically developed countries. The socialist countries removed one-third of the world market from capitalism. This, however, did not substantially affect either the levels of advances already made by world capitalism in developing the productive forces, or in capitalism’s capacity to further develop the productive forces on the basis of scientific and technological advances. This permitted world capitalism to overcome the setbacks caused by socialist revolutions in the 20th century to develop the productive forces and further expand the capitalist market. Given the then existing correlation of class forces internationally, imperialism achieved the expansion of the capitalist market through neo-colonialism. 5.3 On the other hand, the faster pace and qualitatively higher advances made by socialism, in a relatively short span, particularly in a hostile international environment created by imperialism, led to a belief that such advances were irreversible. The Leninist warning that the vanquished bourgeoisie will hit back with a force a hundred times stronger was underestimated. 5.4 Such an underestimation of the capacities of world capitalism and overestimation of socialism’s capacities was reflected in the assessment of the world Communist movement. We had in the 14th Congress reassessed these estimations contained in a statement issued by 81 participating Communist Parties in 1960 which concluded that the immediate inevitability of the collapse of capitalism due to its ‘third phase of the general crisis’ was a grave error in evaluating the then current world realities, that retarded the advance of world socialism. 5.10 The struggle for socialism in the 21st century must, therefore, be the struggle for the establishment of a system that is free from exploitation of human by human and of nation by nation. Such a system must be based on further strengthening of the democratic rights and civil liberties of the people. Such a system must establish its superiority over capitalism in achieving higher levels of productivity and productive forces based on the principle of transition from, ‘from each according to his ability, to each according to his work’ eventually leading towards a Communist society where the principle of ‘to each according to his need’ would prevail. Such superiority must be established, through the increasing participation of the popular masses, in all spheres of social existence – political, social, cultural, etc. 5.13 This period of transition in the current phase of imperialism is also a period where all the fundamental world social contradictions will sharpen in different degrees and in different spheres. The fundamental contradiction between labour and capital under capitalism is acutely intensifying in the present situation of crisis and recession. The efforts by imperialism to consolidate its hegemony, while, on the one hand, seeking to draw the ruling classes of the developing countries under its tutelage, on the other, is leading to the intensification of the contradiction between imperialism and the peoples of the developing countries. Inter-imperialist contradictions also manifest themselves in different forms in different spheres, while they are currently muted in intensifying global exploitation for profit maximisation. The central contradiction of this period of transition remains between imperialism and socialism. Any of these can come to the forefront given world developments at any particular conjecture, without replacing the central contradiction. 5.14 Amongst the multitude of contradictions that exist at any point of time, the international Communist movement recognizes the above four as the major world social contradictions that influence and determine the pace and character of this period of transition. In recent years, however, the fundamental contradiction of capitalism between the social character of production and the private character of appropriation manifests itself in a very serious degradation of the global environment in its efforts for profit maximization. This has become more accentuated in the period of imperialist globalization. This contradiction is threatening to assume proportions of creating serious imbalances through global climate changes posing grave dangers for human existence itself. This has also set in motion a new element in the intensification of the contradiction between imperialism and the developing countries, with the efforts to pass on the burdens of checking global warming and reducing green house emissions on to the developing countries. This is reflected in the ongoing global negotiations on climate change where the industrialized countries are reneging from their earlier commitment of accepting ‘common but differentiated responsibility’, reflecting their earlier and continuing pillage of the environment for profit maximization and, hence, their greater responsibility in correcting this imbalance. They are seeking to negate the fundamental equality of ‘carbon space’ for all human beings in addressing the problems of environmental degradation. These efforts to pass on the burdens of protecting global environment on to the developing countries are part of the global class exploitation that imperialism intensifies in today’s conditions. The struggle of the peoples of the developing countries against these efforts of imperialism constitutes today an important element of the international class struggle against global capitalism. 5.15 Under these circumstances, the people of every country in the world will have to meet the challenges of existing realities to shape their future destiny – how popular people’s struggles will be strengthened to contend with these challenges. How successful they will be in advancing the struggles of the people for social transformation will determine the pace of this transition. 6.3 It needs to be noted that every socialist revolution, based on a concrete analysis of concrete conditions, works out its own approach towards socializing and rapidly developing, under proletarian Statehood, the productive forces in order to establish socialism as a system superior to capitalism. How this can be done is specific to the concrete realities faced by the specific revolutions and class correlations, both domestically and internationally. 6.5 In China today, what is being sought is to attain the conformity between the levels of productive forces and the relations of production under socialism. The advanced socialist production relations cannot be sustainable at lower levels of productive forces. A prolonged period of low levels of productive forces would give rise to a major contradiction between the daily expanding material and cultural needs of the people under socialism and backward productive forces. The Communist Party of China (CPC) has concluded that if this contradiction remains unresolved, then socialism itself in China would be under threat. 6.10 These reforms have certainly produced positive results. The Chinese economy grew at a phenomenal over 9 per cent a year for the last three decades, and poverty, measured in money terms, fell more than 80 per cent between 1981 and 2005. Initiating reforms, China had planned to ‘double the GNP of 1980 and ensure peoples’ basic living needs. The second step was to redouble the output of 1980 and achieve initial prosperity by the end of the 20th century’. The goals of these two steps have been met. All these have been possible not because China ‘broke from the Maoist past’ but because it developed on the solid foundations laid by the People’s Republic of China during the first three decades of centralised planning. Now the third step aims to ‘make the per capita GNP reach the level of that of the medium-developed countries by the 100th anniversary of the PRC’, i.e., 2049. 6.15 The second phase of the reforms focused on the rural areas and the increased rural-urban divide. It is only after 2006 that the Chinese government has taken steps to abolish agricultural tax, increase the grain price subsidy and increase spending in rural health and education. This shows that State planning and intervention still operates to redress certain imbalances. 6.21 Another problem is the dropping of the concept of imperialism from the understanding of the Communist Party of China. In the absence of an anti-imperialist direction, there could be a dilution of proletarian internationalism. 6.23 How successfully these contradictions are dealt with and how they are resolved will determine the future course in China. The efforts to strengthen and consolidate socialism will receive solidarity from us and Communists the world over. 6.27 Cuba too is in the midst of a review and reformulation of its economic policies. After the collapse of the Soviet Union and the socialist bloc, Cuba suddenly found itself bereft of the steady stream of supplies that were ensured by the erstwhile USSR. US imperialism continues to strangulate Cuba by imposing the most inhuman economic sanctions in the history of the modern world. In this background, the party adopteda resolution on the Guidelines on the Economic and Social Policy of the Party and the Revolution (January 2011) to update the ‘Cuban economic model andaiming at guaranteeing the continuity and irreversibility of Socialism and economicdevelopment of the country and the improvement of theliving standards of thepeople’. 6.30 Through such reforms, DPRK seeks to advance its social productive forces, without which it cannot achieve higher levels of economic and social development, so urgently required, to establish the superiority of socialism. Apart from distortions such as personality cult, there are problems like food shortages that need to be tackled. 7.2 Many countries in Latin America are ruled by either Left oriented or progressive governments after winning democratic elections. Left oriented coalitions, including Communist parties, that have emerged in these countries are providing an alternative to imperialist globalization and neo-liberalism within capitalism. While these governments do not constitute a socialist alternative, they represent positive developments in the struggle to develop the `subjective factor’ that can mount a decisive challenge against imperialism and neo-liberal capitalism. This experience is in direct contrast with the armed struggles that are continuing in countries like Peru and Colombia, demonstrating once again the futility of Left-adventurism. USA has set-up seven military bases in Colombia, mainly targeting Venezuela, by using a right-wing reactionary regime, under the pretext of 'protecting democracy' from 'Left-wing' militancy. 7.3 For the past few years, these progressive governments, powerfully influenced by socialist Cuba, have drastically reduced their economic dependence on the US and have increased trade amongst the countries of the South. This, to some extent, limited the effects of the economic crisis on the continent and helped them recover fast. Venezuela, Ecuador and Bolivia stand on a firmer anti-imperialist footing and are nationalizing various public assets that were placed under private control by the earlier regimes. Many banks were nationalized by Venezuela, and Ecuador has recently nationalized its energy resources like Bolivia had done earlier. With their increased emphasis on social spending and the State playing a major role in the alleviation of socio-economic inequalities, these countries are leading the way for the other anti-imperialist governments in the continent. 7.4 Various forums have been forged to encourage regional trade between the countries of the continent like the MERCOSUR, ALBA, Sao Paulo Forum, etc. The latest is the new regional economic grouping – the community of Latin American and Caribbean states (CELAC). All these forums are being used not only to forge close bonds between these countries but also put up a united face in resisting the pressures of neo-liberalism. US is trying hard to regain its lost hold in the continent, which it once contemptuously considered to be its backyard. It is increasing its military presence in the area. It continues to interfere in the internal affairs of these countries, like the role it played in the coup in Honduras. It is also trying to use the rightwing governments in some other countries. The progressive governments in the region and the Left-wing forces in the continent are deeply engaged in the fight against the US, exposing its nefarious designs and mobilizing the people against the imperialist offensive. 7.8 These popular and progressive forces today constitute an important element in strengthening the worldwide struggle against imperialist globalization. They are also an important element in uniting the anti-war, anti-imperialist, anti-military aggression and interventions, anti-environmental destruction movements with the struggles against globalization. It is this unity that needs to be built into a powerful global anti-imperialist movement which will have the potential for a future revolutionary transformation. · It means providing all people food security, full employment, universal access to education, health and housing. It means the economic, political and social empowerment of the people by vastly improving the living conditions of the workers, peasants and the hitherto marginalized sections. · It means, first and foremost, that people’s power would be supreme. That democracy, democratic rights and civil liberties would be inseparable elements of the socialist juridical, political and social order. Under bourgeois democracy, illusionary formal rights may exist but the majority of people are denied the capacities to exercise of these rights. Under socialism, democracy will be based on the economic, educational and social empowerment of all people, the fundamental and essential requirement for the continuous deepening and development of the quality of human life, on whose foundations socialist democracy will flourish. Under socialism, the right to dissent, freedom of expression and plurality of opinion will flourish with the aim of strengthening socialism under proletarian statehood. · It means that the socialist economic construction will be based on the socialised means of production and central planning. As long as commodity production exists, the market is bound to exist. The market forces, however, shall be subsumed under the guidance of central planning. While various forms of property can and will coexist, the decisive form will be that of the social ownership of the means of production. This does not necessarily express itself only as the State-owned public sector. While this plays an important role, other forms like collective and cooperative ownership and State control of economic policies that regulate the economic lifeline will necessarily coexist. 9.4 Post-modernism is a bourgeois philosophical outlook which arose out of the success of the late 20th century capitalism and the reverses of socialism. It rejects any philosophy or politics which is universal and dismisses them as `totalising’ theories, Marxism included. Post-modernism does not recognize capitalism or socialism as a structure or a system. Thus, it is a philosophy suited for global finance capital as it negates class and class struggle. It is a philosophy that is best suited for promoting identity politics and the depoliticisation of the people. 9.6 Marxism is unique in the sense that it can be transcended only when its agenda is realized; the agenda of realizing a classless Communist social order. Specifically under capitalism, its understanding of capitalism is alone thorough enough for it to comprehend the historical possibilities that lie beyond it. Hence Marxism can never be, under capitalism, rendered superfluous until capitalism is itself superseded. Post capitalism, Marxist philosophy and world view will continue to be the basis and the scientific guide, for socialist construction and the transition to Communism. 10.3 Thus achieving, in practice, a proper combination of parliamentary and extra parliamentary activity, in this current situation, is an important task before the Party.Our Party Programme states: ‘Although a form of class rule of the bourgeoisie, India’s present parliamentary system also embodies an advance for the people. It affords certain opportunities for them to defend their interests, intervene in the affairs of the State to a certain extent and mobilise them to carry forward the struggle for democracy and social progress’. (Para 5.22) But the growing power of big capital and the entry of big money into politics and the growing criminalization of politics is distorting and undermining the democratic process. 10.7 However, it is imperative that we must guard against powerful deviations that may occur. These tendencies can manifest in various forms. Parliamentary democracy by itself creates many illusions amongst the people that seek to mute or weaken class and mass struggles, particularly through State patronage. While combating such illusions and exposing effectively the machinations of the ruling classes in using such illusions to make people submissive to their class rule, it is imperative that we adopt the correct tactics to rouse the exploited masses into revolutionary action. 10.8 Further, illusions of a peaceful transition will also strengthen. This is a matter that we have settled in our updated Programme. The rectification campaigns that we regularly undertake in the Party emphasize the continuous struggle against parliamentary opportunism. The effective combination of parliamentary with extra-parliamentary work requires the guarding against parliamentarism and fostering of parliamentary illusions. 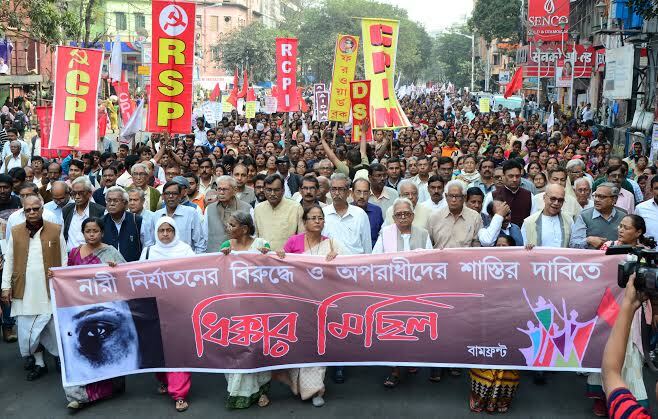 10.9 In the current situation, Maoism as an expression of Left adventurist deviation continues to pose ideological challenges to the advance of the revolutionary class struggles of the Indian people. Despite its understanding being proved wrong, it continues to characterize the Indian ruling classes as comprodor/bureaucratic and continues to adhere to a strategy of immediate armed struggle against the State. It specifically targets the CPI(M). 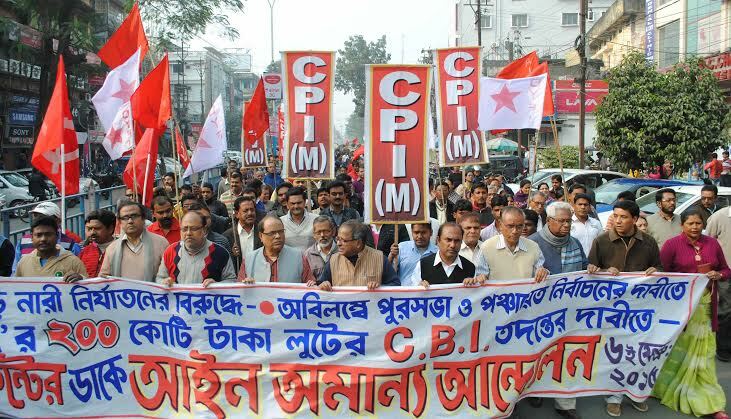 It collaborates with bourgeois reactionary political parties and forces to mount physical and murderous attacks against CPI(M) cadres and sympathisers. 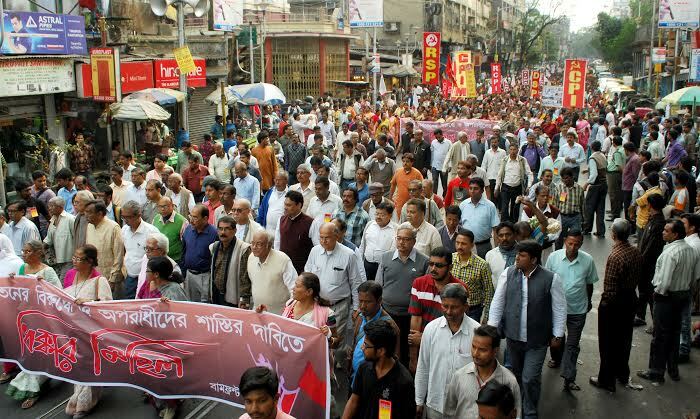 It is necessary to strengthen the ideological struggles against such a Left adventurist trend and combat it both politically and organizationally. This is essential to advance the Indian people’s struggle for socialism on scientific and revolutionary foundations. 10.14 This task, however, under conditions of imperialist globalization becomes more complex. The very logic of neo-liberal reforms leads to and perpetuates the rapid growth of labour force that is increasingly relegated to what is called the unorganized sections. The conversion of regular employment into casual and contractual labour, apart from generating higher profits, is the class attempt of the ruling classes to ensure that the working class unity remains divided and disrupted. Larger and larger numbers are joining the ranks of casual, temporary and self-employed workers. Appropriate tactics need to be worked out to overcome these challenges and strengthen the unity of the working class by drawing the vast mass of the unorganized labour into revolutionary activity. 10.18 In identity politics, as practiced by proponents of post-modernism, in today’s conditions, identity based on ethnicity, religion, caste, tribe or gender increasingly becomes the basis for politics and political mobilisation. Class is considered to be only one fragment of identity. Identity politics thus negates the concept of the working class. By its very nature, identity politics excludes and demarcates those of one identity from others. Wherever identity politics takes hold, it divides the people into separate and disparate groups often in conflicting and competing terms. 10.21 The CPI(M) stand is based on the recognition that there is both class exploitation and social oppression in society. Given the socio-economic formation in our country, class exploitation both capitalist and semi-feudal exists along with various forms of social oppression based on caste, tribe and gender. The ruling classes extract surplus through class exploitation and for the maintenance of their hegemony they utilise the various forms of social oppression. Hence the struggle against both forms of exploitation and oppression should be conducted simultaneously. 10.22 Gender Issue : The perpetuation of feudal influences with the social oppression of the caste system has fostered powerful patriarchal ideological values. The neo-liberal framework has further buttressed this. Gender based discrimination is not only a feudal relic but systemic in class based societies. The unequal division of labour and the disproportionate burdens being borne by women in the family economy have been intensified by neo-liberal policies and the increasing abdication of the State from meeting social obligations. The struggle against gender inequality and oppression in all its manifestations must be strengthened. 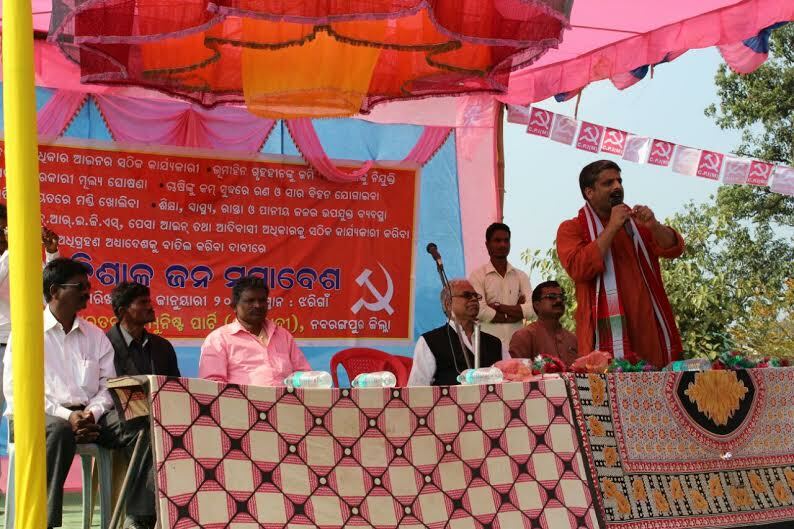 As a Party of the working class, we must work ceaselessly to develop the required social consciousness amongst the Indian people against gender oppression as an integral part of strengthening the class struggles. 10.23 Communalism: It is in this context that the struggle against majority communalism and all other expressions of minority religious fundamentalism will have to be seen. Apart from disrupting and weakening the secular democratic foundations of modern India (like the RSS vision of a rabidly intolerant fascistic ‘Hindu Rashtra’), the foundations that largely facilitate the exercise of democratic rights which is an important pre-condition for the advance of our class mobilization, these forces directly disrupt the unity of the working class and the exploited sections by rousing communal passions exploiting the religious appeal amongst our people. Hence, without a firm struggle to defeat communalism, the revolutionary advance in our country will not be possible. 10.24Nationalism : Modern nationalism is associated with the rise of the bourgeois class and its use of the national consciousness against feudalism. In the twentieth century, nationalism arose in the colonial and semi-colonial countries to fight the colonial and imperialist rule. The anti-imperialist content of nationalism got diluted with the ruling classes taking over in these ex-colonies. Under imperialist globalisation, there is a concerted assault on national sovereignty. Imperialist finance capital demands that all nation-states concede their national sovereignty to its dictates. 10.26International finance capital promotes ethnic nationalism and separatism to weaken the sovereignty and integrity of nation states. Such reactionary ethnic nationalism which divides people on narrow sectarian lines should be opposed while we must champion their democratic aspirations. The struggles against genuine oppression and discrimination against them must be strengthened. At the same time, the defence of national sovereignty and anti-imperialist nationalism is an important aspect to rally solidarity of the exploited classes and strengthen class unity in the struggle against imperialist globalisation. 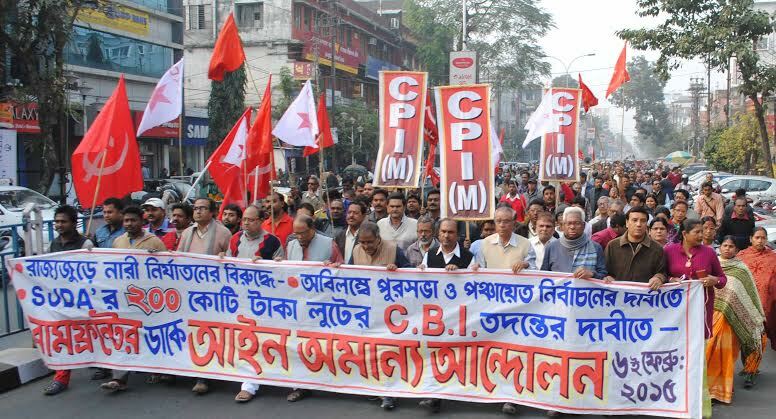 11.2 Under the present circumstances, the CPI(M) is committed to strengthen the ‘subjective factor’ by combating the challenges posed by the disruptive movements and guarding against falling prey to any deviation from the revolutionary content of Marxism-Leninism. In various Party Congresses, we have worked out the tactics in order to meet such challenges. On this basis, correct tactics need to be worked out for the future. 11.3 The CPI(M) – taking into account its very evolution, its experiences in combating all the deviations and in firmly upholding the revolutionary content of Marxism-Leninism, taking into account the experiences of socialism that left an inedible impact on the evolution of human civilization in the 20th century and in making a scientific evaluation of the socio-economic systems of both contemporary capitalism and socialism in the world today – is committed to carry forward this process till the final triumph of the Indian people. 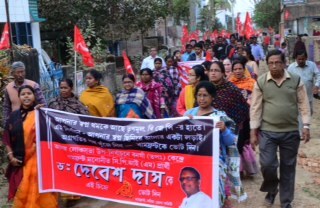 The CPI(M) shall carry forward its revolutionary tasks and mobilise all the exploited sections of the Indian people in order to change the current correlation of class forces amongst our people and mount the revolutionary offensive for the establishment of people’s democracy and, on its foundations, socialism – the only basis for human liberation and emancipation. Paragraph 1.7:Amongst these are the glorious Telengana people’s armed struggle; Tebhaga movement (Bengal); Punnapara Vayalar (Kerala); Warli tribals struggle (Maharashtra); Tripura armed struggle; Surma Valley struggle (Assam); anti-betterment levy struggle (Punjab); anti-farm slavery movement in East Tanjore (Tamilnadu); and innumerable working class struggles, etc. Paragraph 2.18:Apart from our own experience in India, corruption at high places has become a pervasive feature of imperialist globalisation. The latest in the series of world leaders indicted is former French Premier Jacques Chirac, Thaksin (Thailand), Berlusconi (Italy), Gloria Acquino (Philippines), etc. Condoleeza Rice, during the 2000 presidential campaign had articulated this policy in a much cited article in Foreign Affairs, where she says: ‘China is a great power with unresolved vital interests, particularly concerning Taiwan . . . China also resents the role of the United States in the Asia-Pacific region.’For these reasons, she states: ‘China is not a “status quo” power but one that would like to alter Asia’s balance of power in its own favour. That alone makes it a strategic competitor, not the “strategic partner” the Clinton administration once called it’. It is essential, she argues, to adopt a strategy that would prevent China’s rise as regional power. In particular, ‘the United states must deepen its cooperation with Japan and South Korea and maintain its commitment to a robust military presence in the region’.Washington should also ‘pay closer attention to India’s role in the regional balance’, and bring it into an anti-Chinese alliance system. Paragraph 4.12: For instance, the mega corporation Time had earlier merged with the entertainment giant Warner Bros. The information giant American Online Ltd (AOL)has now acquired Time-Warner at a cost of $ 164 million to become the largest ICE conglomerate in the world. Rupert Murdoch now commands a combined news, entertainment and internet enterprise which is valued at $ 68 billion. Likewise, Walt Disney has now acquired Marvel (of Spiderman fame). The cultural products that are universally created are bombarded across the world garnering phenomenal profits. As recently as in January 2011, Comcast Corp has completed its takeover of NBC Universal, creating a $ 30 billion media behemoth that controls not just how television shows and movies are made, but how they are delivered to people’s homes. Comcast, the No. 1 provider of video and residential internet service in the United States (with over 23 million video subscribers and nearly 17 million internet subscribers), acquired a 51 per cent stake in NBC Universal from General Electric Co. The newly created joint venture is called NBCUniversal LLC and its assets include NBC broadcast stations, cable channels like Bravo, USA and E!, the Universal movie studio as well as theme parks among other assets. ‘2.24:However, the simplistic understanding that this period of transition means the immediate collapse of capitalism and the triumph of socialism on a world scale, needs to be corrected. Socialism, the period of transition from a class to classless society, implies the prolonged existence of both capitalism and socialism on a world scale. It is a period of continuous confrontation between the counter-revolutionary forces who wish to preserve the exploitative capitalist order and the revolutionary forces that seek to liberate humanity. This continuous struggle takes place both at the world scale and internally within the socialist countries. Paragraph 6.26:TheReport of the 6th Congress of the Communist Party of Vietnam states: ‘In socialist revolution, on the one hand, great efforts should be made to build new economic bases and forces for the country, and on the other hand great importance should be attached to transforming and making good use of the existing economic bases and forces through appropriate forms and steps. But we have not yet clearly and consistently determined the viewpoints, undertakings and policies guiding the work of socialist transformation. There have been manifestations of hastiness: we wanted to do away at once with non-socialist economic sectors, to rapidly turn the private capitalist economic sector into a State-run sector’. Paragraph 6.29:The plan set a strategic goal for economic development. It puts the main emphasis on building infrastructure and developing agriculture and basic industries including electric power, coal, oil and metal industries and regional development. Setting up this 10-year plan is to help find breakthroughs for the North Korean economy through foreign investments. It recently unveiled a new ‘joint economic zone’ with China on two border islands in the Yalu rive – a project meant to underscore a new direction for the North Korean economy, and to jumpstart the new development campaign. DPRK and China agreed to develop ‘two economic zones in the DPRK’ which will be ‘government-guided, enterprise-based and market-oriented’. It has also decided to establish a ‘free-trade area and a tax-free zone’ as part of the first ‘special economic zone’. The government of North Korea also promised to ‘guarantee the investment of the foreign investors by not nationalizing or demanding requisitions. For inevitable cases where such demands occur, proper compensation will be provided’. The income tax for foreign investments is ‘11 per cent lower than other areas in North Korea. For companies with business plans over ten years, foreign capital companies will receive three years of tax-free benefit starting from the profit earning year and two years thereon after will receive 50 per cent tax-free benefits’. To stand up against the call for ‘reforms’ of the State that only took us to unfair processes of deregulation, privatisation and dis-assembling of the capacities of public governance. 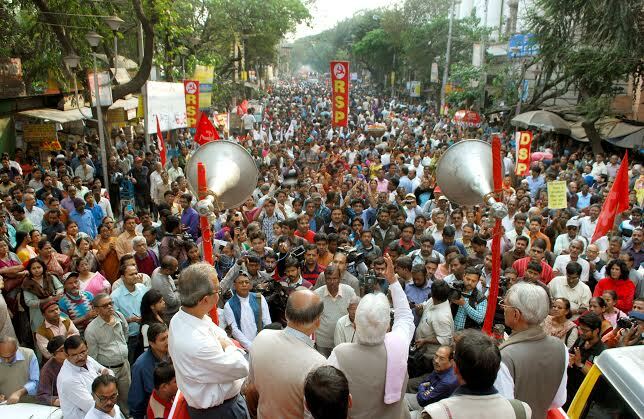 As an answer to the brutal dissolution that the State suffered for more than one decade of neo-liberal hegemony, the fortification of the State and governments, on the basis of the participation of the citizen in public matters, prevails now. It is necessary to question the vindication of the free market and commerce, as if only these concepts were enough to automatically guarantee the advance towards greater levels of growth and collective well-being. Without a clear intervention of the State directed to reduce the disparities between countries, free competition between unequal countries will affect the weakest countries the worst. To deepen Latin American integration requires an economic agenda defined by the sovereign States, outside all ominous influence of the international organisations. Paragraph 7.7:In this context it is necessary to pay heed to Lenin’s warning in Imperialism the Highest Stage of Capitalism of underplaying the political aspect of imperialism i.e., keeping ‘politics in command’. It must be kept in mind that this pamphlet was written during the times of repression. So the political thrust had to be camouflaged to escape Czarist authorities whose capacities to discern such subtleties Lenin always held in contempt, which in this instance proved correct. Paragraph 7.9: In South Africa,the economic policies pursued were characterised by rapid opening up and liberalisation through drastic tariff reductions and the dropping of exchange controls. Impressing foreign investors became more important than developing a national industrial policy. In spite of terming the economic policies as Growth, Employment and Redistribution (GEAR) strategy, formal employment continued to decline and the country’s wealth remained unevenly distributed along racial lines. Although economic growth has improved, GEAR, with its focus on stringent monetary and fiscal targets, failed in the goal of growth based on job creation, meeting people’s needs, poverty reduction and a more equitable distribution of wealth. 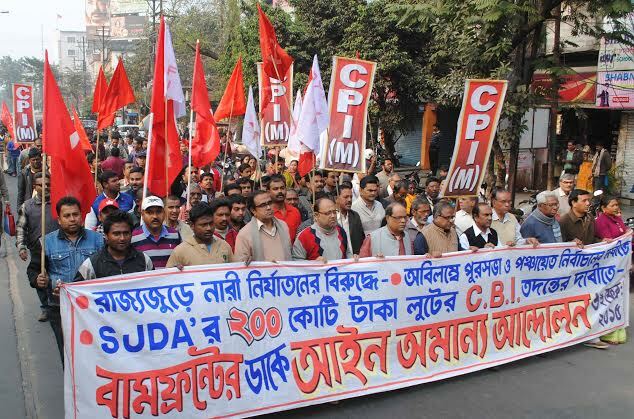 Paragraph 10.20:The CPI(M) has been cognizant of such efforts to disrupt the unity of the exploited classes in Indian conditions. These were noted in the reports adopted by successive Party Congresses particularly with reference to the rise in the aspirations of tribal identity for the protection of their rights and autonomous councils since the 14th Congress. The Political-Organisational Report adopted by the 15th Congress had, in a separate section Attitude to Movements for Separate Identity elaborated our stand on these and all other divisive efforts made by reactionary forces to use caste, regional and ethnic identities to divide the unity of the toilers.